Most people on Facebook don’t know that I’m an atheist. It leads to some interesting observations. I watched the entire Tea-Party / Republican debate (Link to video of the debate). I wish I had taken notes so I could write-up the dumbest statements made by each candidate. It was a lot of jingoistic nonsense, self-contradictory positions, infighting, and delusional stuff about radically cutting taxes. It has renewed my disgust of Republicans, much more than I had expected it would. I think one of the lows was hearing a candidate say that tax-incentives (for example, to encourage alternative energies like solar and wind, which would help the US gain energy independence) were really just “corporate tax loopholes” and tax loopholes needed to be closed (you know, because everybody hates corporate tax loopholes), then he went on to talk about the importance of US energy independence. Presumably, the candidate thinks that US oil can provide all the energy the country needs and it will last forever. The reality is that the US has proven oil reserves of 21 billion barrels (source) and “Services under the U.S. Department of the Interior estimate the total volume of undiscovered, technically recoverable oil in the United States to be roughly 134 billion barrels.” (source). U.S. oil consumption is 21 million barrels per day (source), which works out to 7.6 billion barrels of oil consumed per year. In other words: if the US uses only US produced oil, we’ll be out of proven reserves in 3 years, which is before that candidate is even done with their first term! Assuming we could tap into all the presumably undiscovered oil (and it will take more than 3 years to bring it on line), we’ll be out of oil in 17 years. Herman Cain’s dumbest statement was his 9/9/9 plan. He wants a 9% Federal Sales Tax, 9% Federal income (flat) tax, and 9% corporate tax. In other words: raise taxes on the poor, reduce taxes on the rich, reduce taxes on corporations, and dramatically cut the tax money coming into the federal government. It would radically reduce income tax to much lower levels than it’s been anytime in the last 80 years. Michelle Bachmann complained about HPV vaccines and the next day made statements about the HPV vaccine causing mental retardation. She also championed the fact that she fought against raising the debt ceiling (that’s retarded), saying that congress gave Obama a $2.5 trillion dollar blank check (apparently, she doesn’t understand that “$2.5 trillion” and “blank check” are mutually exclusive). The top income tax bracket in the United States is currently 35%. Make a guess over how many years, within the past 80 years, the tax rate was below 35% and how many years it was more than twice the current rate. 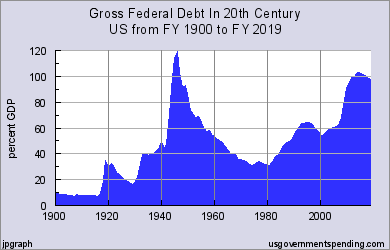 Another fun fact: The US debt, as a percentage of GDP, was lowest in 1980 (when Reagan first took office) than any other time in the last 80 years. Under Reagan and Bush Sr., the US debt to GDP ratio doubled, reversing a 35 year trend of declining national debt. When the tax rate of the highest tax bracket is compared to the GDP-to-debt ratio, the trend is clear: in periods where the tax percentages were highest, the national debt decreased, and in periods where taxes were lowest (i.e. mostly under Republican presidents, but also under Obama) the national debt increased. Oh, but Obama is a socialist for wanting tax rates higher than 35%, even though 35% is historically very, very low. And the “Taxed Enough Already” party appeared now, in this period of US history?? The poll released today by Public Religion Research Institute in partnership with Religion News Service, was conducted a week after a March 11 earthquake triggered a devastating tsunami and nuclear crisis in Japan. Nearly six in 10 evangelicals believe God can use natural disasters to send messages — nearly twice the number of Catholics (31%) or mainline Protestants (34%). 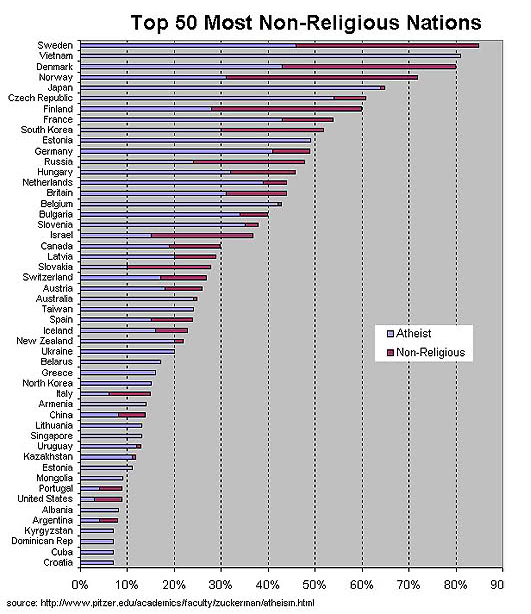 Evangelicals (53%) are also more than twice as likely as the one in five Catholics or mainline Protestants to believe God punishes nations for the sins of some citizens. According to a new poll, the Tea Party has lower approval ratings than Atheists. It’s well known that an atheist can’t win the US presidency, so I guess this means that the tea-party candidates might as well throw in the towel right now.